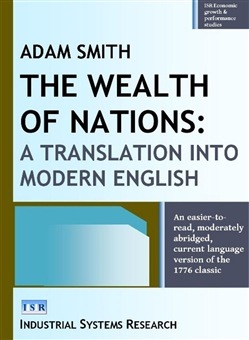 Adam Smith's The Wealth of Nations is the great pioneering study of economic growth and performance. When first published in 1776, the factory-based Industrial Revolution was only just getting underway. However, there had been steadily rising production and incomes in Britain, the North American colonies, Holland and other countries since at least the late 17th century. Smith uses basic theory, observation and documentary sources to analyze the nature and causes of economic advancement in general. The book is lengthy and wide-ranging. It examines the contributions to production of labour, land and capital. It explains the economic importance of large buoyant markets and industrial specialization. It also shows that national wealth does not depend on economic factors alone. For example, the favourableness or otherwise of the political-legal environment for industry and commerce is everywhere a major influence on national prosperity. This is a moderately abridged current language version of the book – essentially translating the work into modern English to improve its readability and understandability. The translation is substantive but retains literalness and original word order and grammar as far as possible. 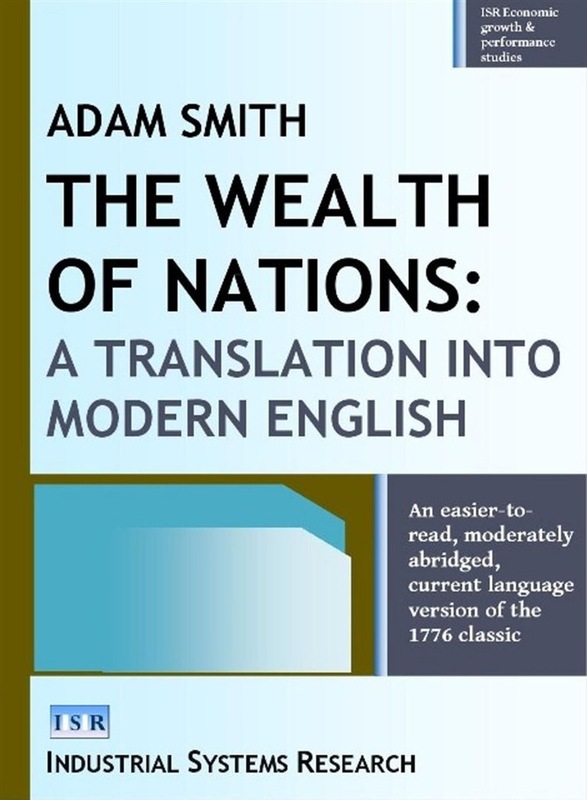 Acquista The Wealth of Nations in Epub: dopo aver letto l’ebook The Wealth of Nations di Adam Smith ti invitiamo a lasciarci una Recensione qui sotto: sarà utile agli utenti che non abbiano ancora letto questo libro e che vogliano avere delle opinioni altrui. L’opinione su di un libro è molto soggettiva e per questo leggere eventuali recensioni negative non ci dovrà frenare dall’acquisto, anzi dovrà spingerci ad acquistare il libro in fretta per poter dire la nostra ed eventualmente smentire quanto commentato da altri, contribuendo ad arricchire più possibile i commenti e dare sempre più spunti di confronto al pubblico online.